Here's what I knit during my lunch hour today. 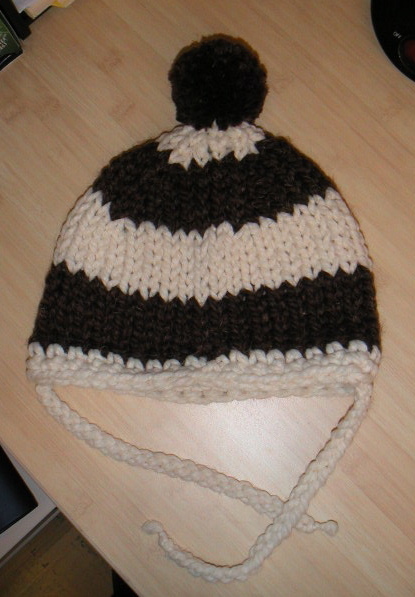 It takes me a little less than an hour to complete an adult-sized hat and about 40 minutes for a kid-sized one. Over the weekend, I knit three hats and two more scarves. I also made some new Action Hero tags that I will affix to each item.